- NS: is name server which specifies a name server for the domain. - CNAME: Sets an alias for a host name. Like "docs >> CNAME >> ghs.google.com. >> 0 >> 3600" in here means: forward docs.domain.com to custom google document server in behind scene. - MX: is Mail eXchanger. - TXT: it's strictly informational. 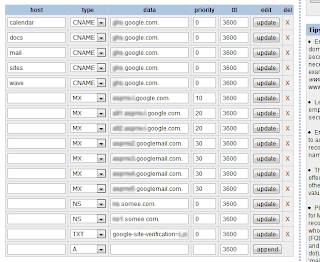 - Google NS lookup [link]. - Select a search result from top of list. 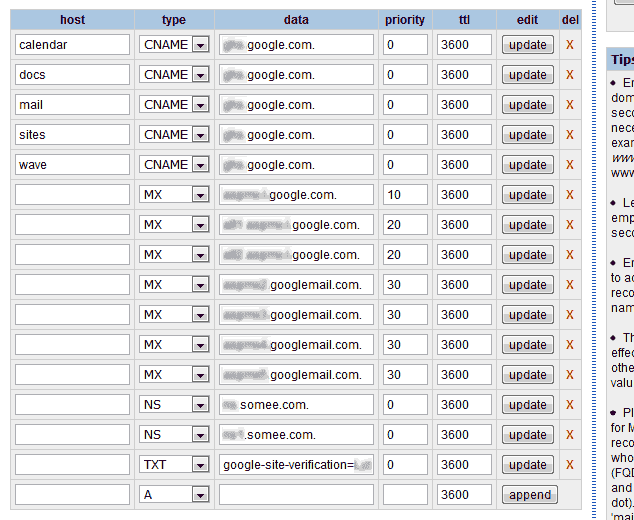 - Type your domain address in to the field. - Click Submit, or Lookup.